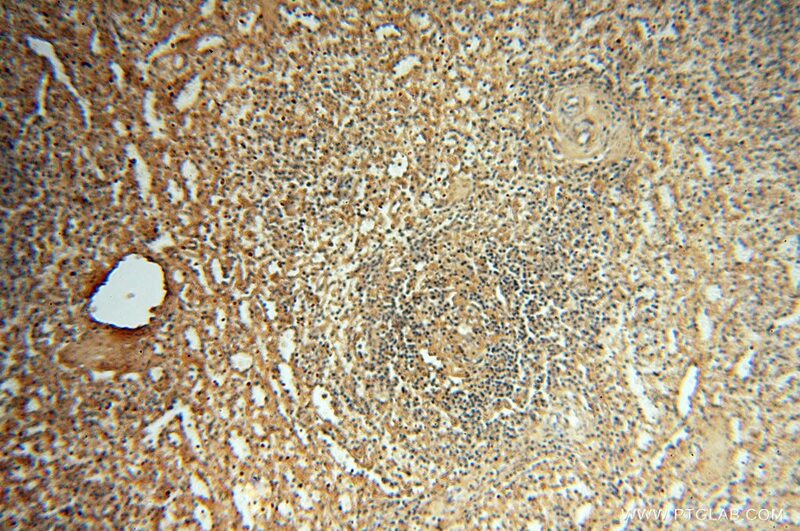 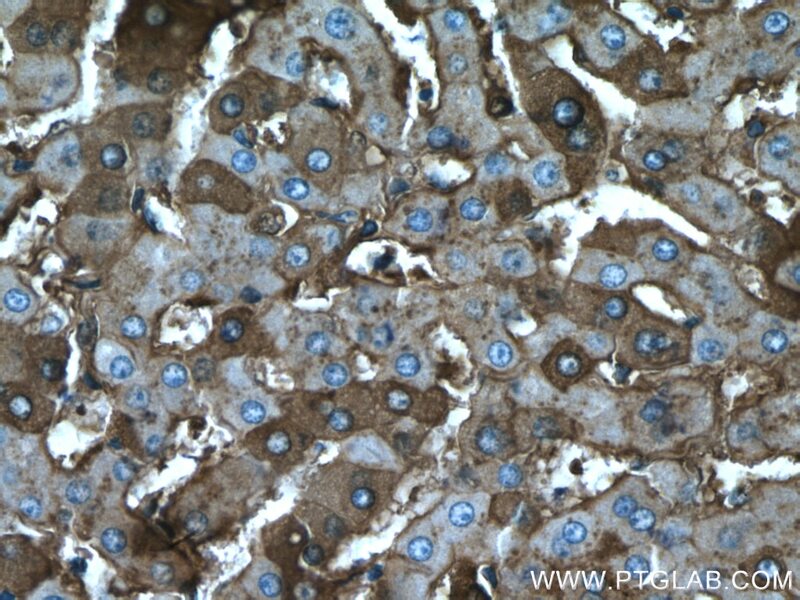 Immunohistochemical analysis of paraffin-embedded human liver tissue slide using 16475-1-AP (Albumin antibody) at dilution of 1:200 (under 10x lens). 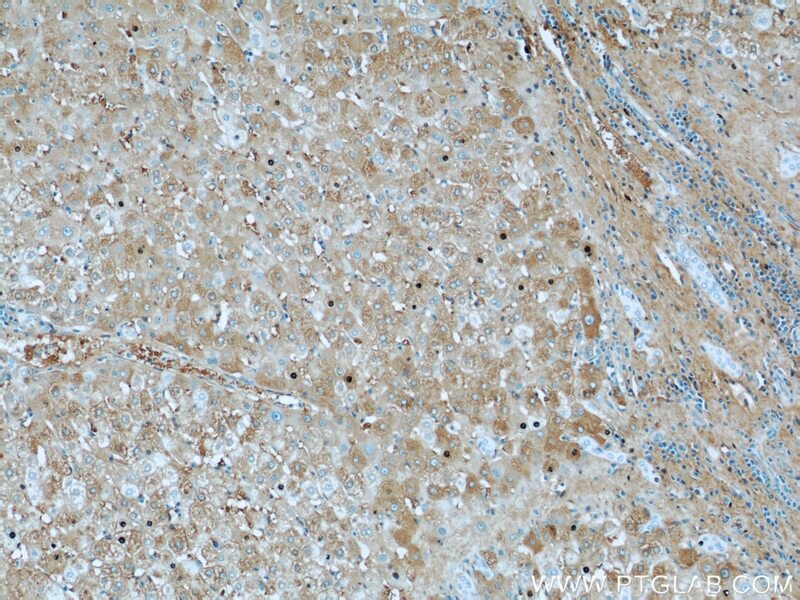 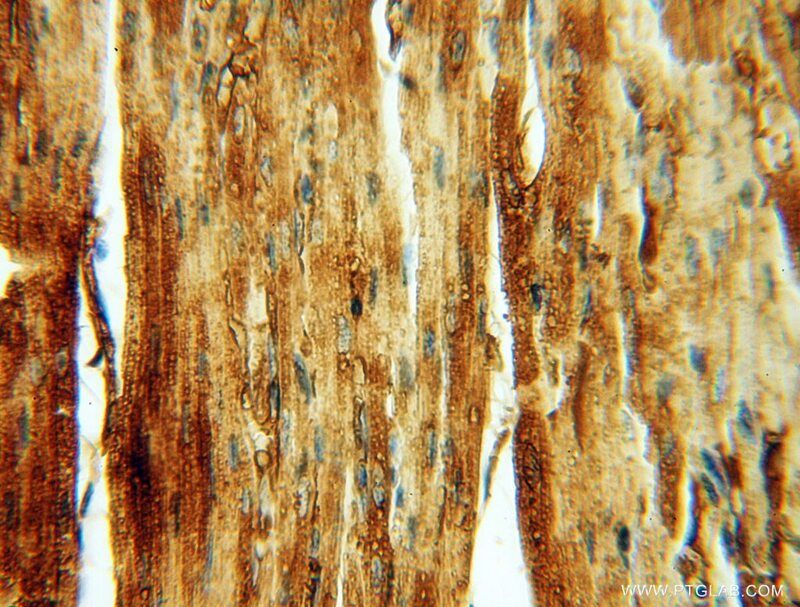 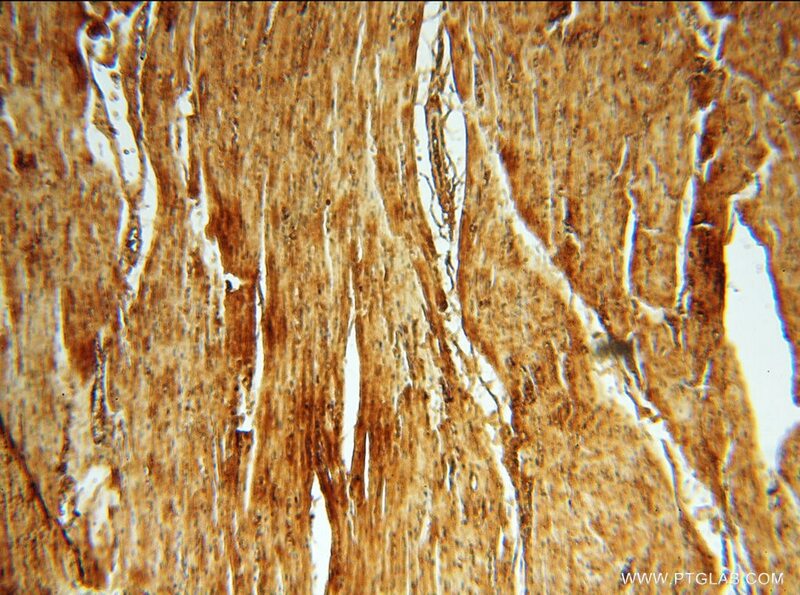 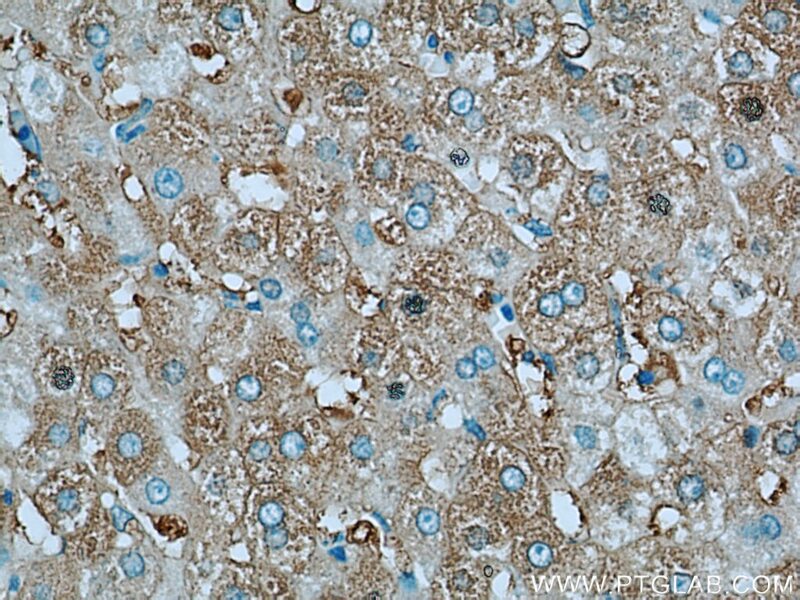 Immunohistochemical analysis of paraffin-embedded human liver tissue slide using 16475-1-AP (Albumin antibody) at dilution of 1:200 (under 40x lens). 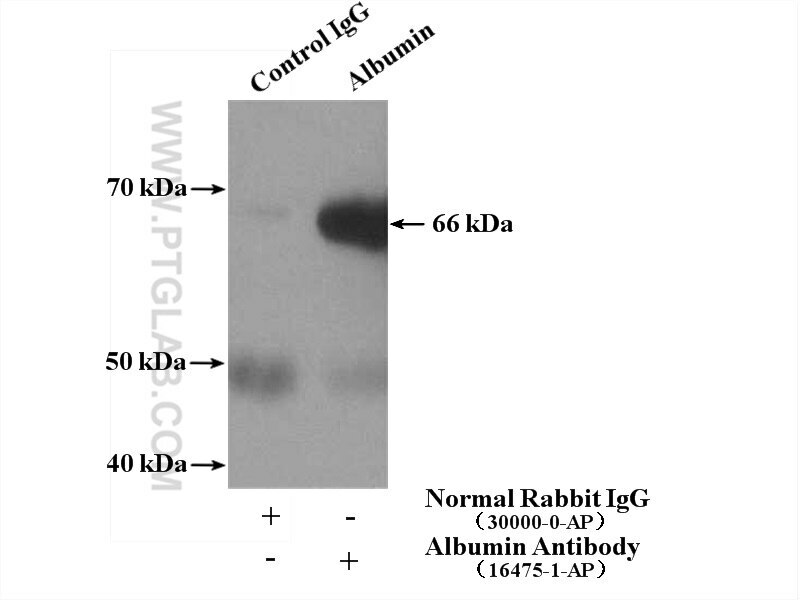 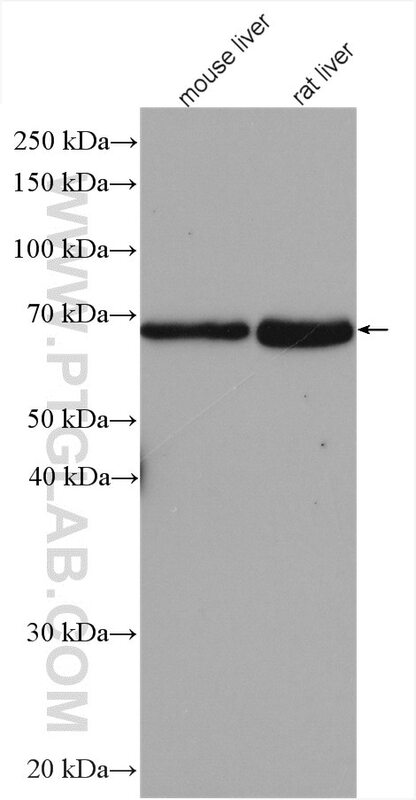 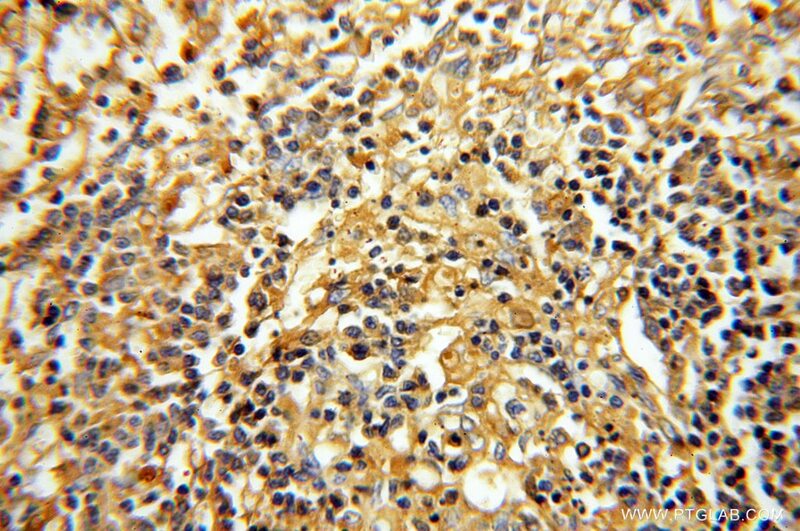 IP Result of anti-Albumin (IP:16475-1-AP, 4ug; Detection:16475-1-AP 1:10000) with human plasma tissue lysate 4000ug. 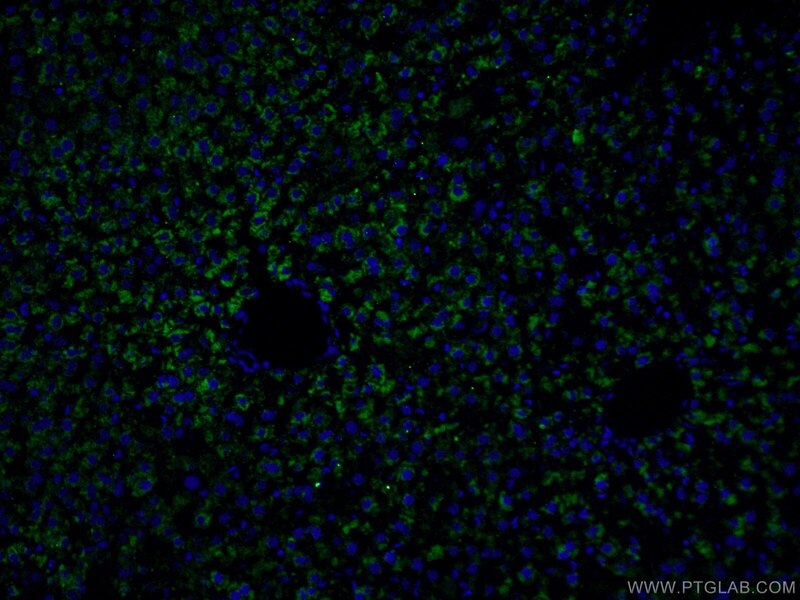 Exosomes mediate the cell-to-cell transmission of IFN-α-induced antiviral activity. 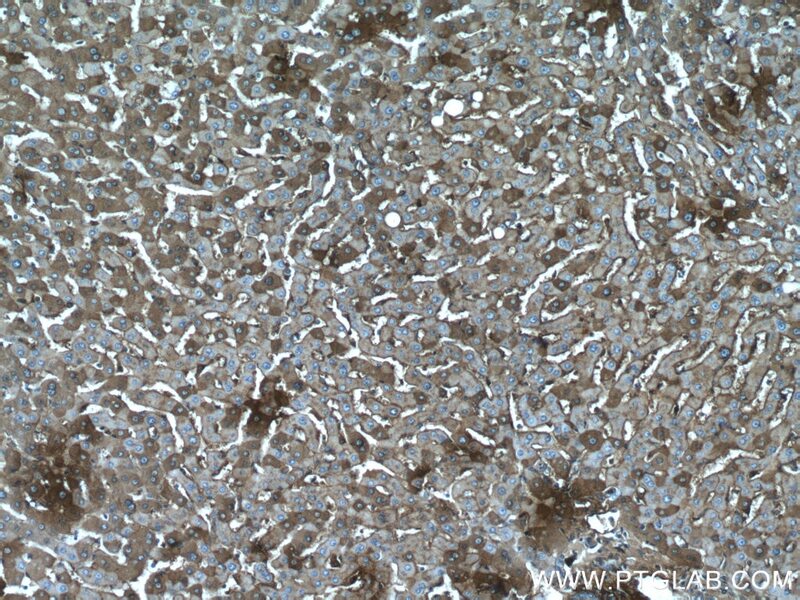 Long-term maintenance of human fetal hepatocytes and prolonged susceptibility to HBV infection by co-culture with non-parenchymal cells. 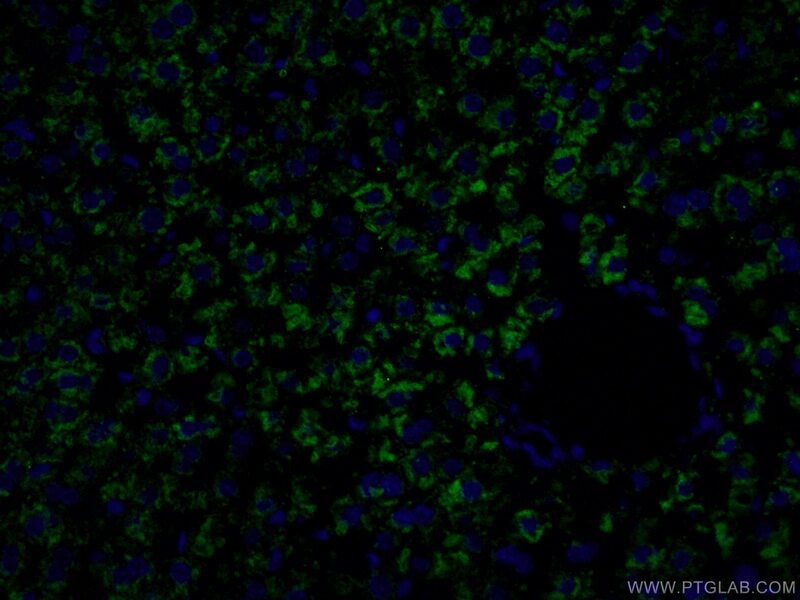 Circadian clock-dependent and -independent rhythmic proteomes implement distinct diurnal functions in mouse liver. 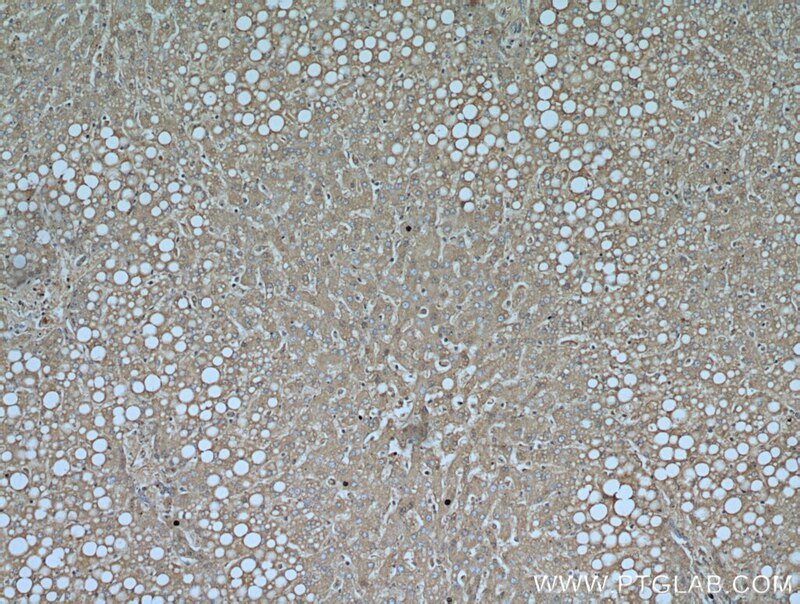 Adipogenic changes of hepatocytes in a high-fat diet-induced fatty liver mice model and non-alcoholic fatty liver disease patients. 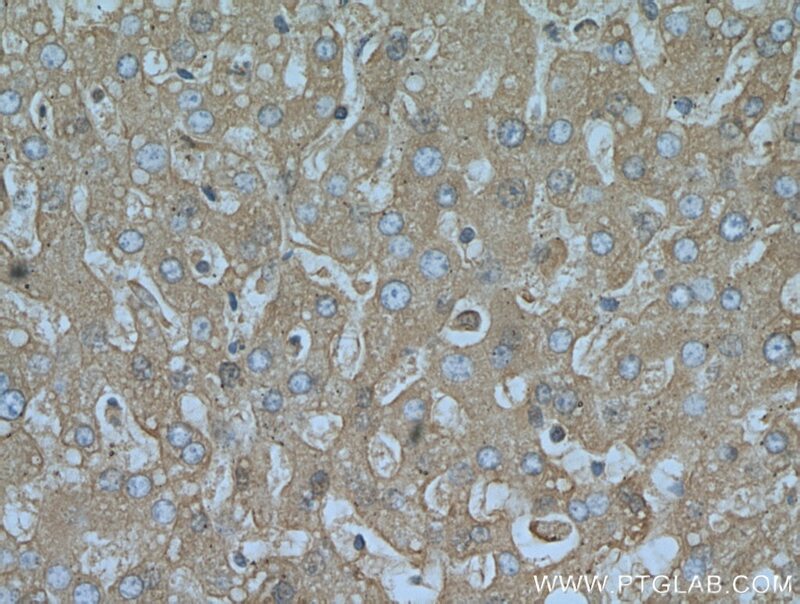 Revival, characterization, and hepatitis B virus infection of cryopreserved human fetal hepatocytes.